In a new adaptation of Leo Tolstoy’s timeless novel, three young people experience life, love and loss against the epic backdrop of Russia’s wars with Napoleon. 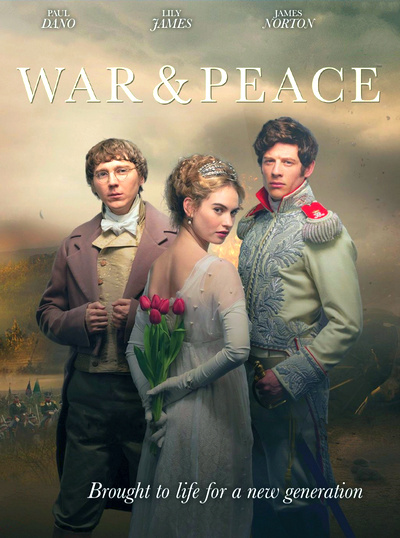 Leo Tolstoy’s War and Peace is truly one of history’s greatest novels. The dauntingly long piece of Russian literature covers an amazing range of themes. Love, politics, honor, Russian society, war, friendship, family, and other themes are set against the backdrop of the French invasion of Russia in 1805. Screenwriter Andrew Davies and director Tom Harper have done an admirable job adapting the literary classic in this sparkling mini-series produced by BBC Wales and The Weinstein Company.